Púca won an EU-wide tender for the provision of a custom interactive SMS solution at Teagasc, the Irish food and farming agency. – Efficiently and cost-effectively manage group text-outs to key staff. – Reduce dependency on existing communication tools such as telephone and post. – Increase the flow of information from local, regional and national groups back to Teagasc. 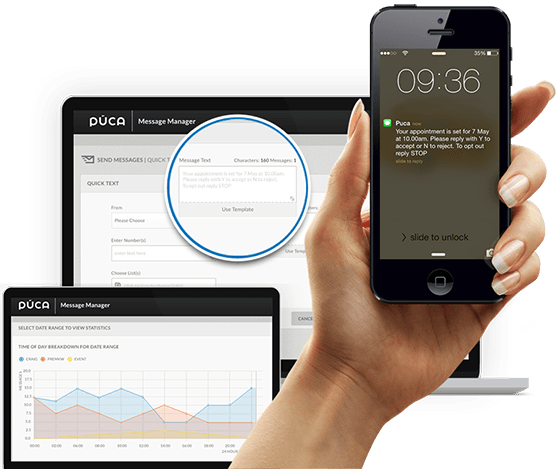 Púca provided an Enterprise-level SMS Solution for Teagasc based on its Message Manager Platform. This provided for tiered levels of access throughout Teagasc’s locations. The Platform enables creation and management of multiple mailing groups and the ability to send/schedule messages using web and mobile interfaces. Membership surveys can be conducted and analysed, findings shared with members and reports can be generated based on usage patterns. The SMS Solution has been rolled out successfully to over 1,600 staff at 50-plus locations nationwide. Teagasc have achieved considerable cost saving based on reduced cost of communication. The custom SMS Solution has enabled Teagasc to improve internal communication and data sharing and increase member and end-user customer satisfaction. Púca’s Messaging system has greatly improved communication and data sharing with our clients.